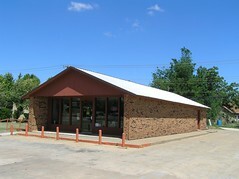 Allen's Retail Liquor Store - closed: Drinks? There's an app for that! Drinks? There's an app for that! 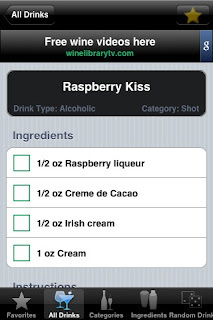 Seems like there's an app for everything on your iPhone/iPod Touch, so of course you can get drink recipes. One free drink recipe app I've tried is called Drinks Free. It has tons of drink recipes. I mean TONS. As in thousands. Each recipe has ingredients and instructions. You can mark your favorites for easy retrieval later. You can even shake to get a random drink. There are a couple of drawbacks. You will see some typos and misspellings. I don't like the way the Ingredients function works. You have to use a scroll wheel to pick each ingredient, starting at A. If you want drinks using Vermouth, that is darned unhandy. Other than that, it's fun, it's free. What more could you ask for?